The Tacoma (WA) Chapter of The Links, Incorporated was one of the Top 200 finalists in the 2018 State Farm Neighborhood Assist® grant program. We didn’t win the grant but drew more attention to our award-winning program. Thank you for your votes and support! 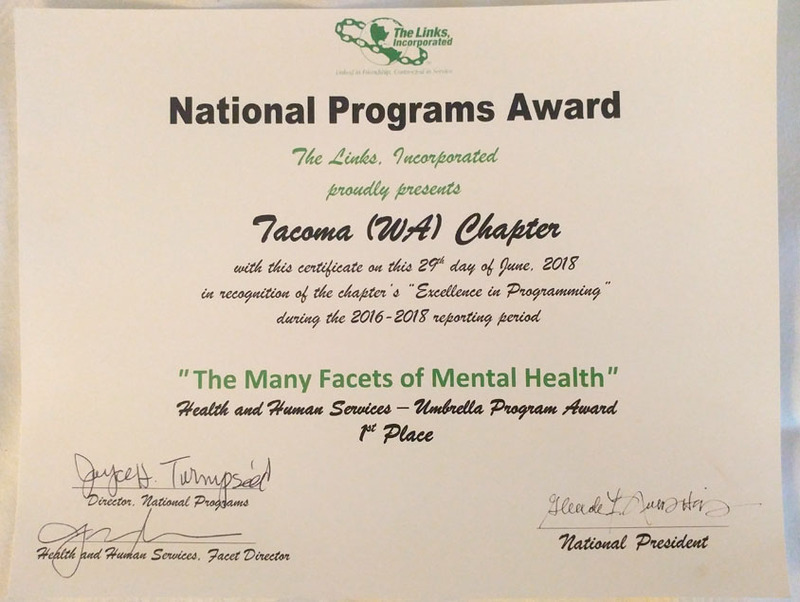 The Tacoma (WA) Chapter of The Links, Incorporated has a longstanding record of contributing to scholarships and worthy causes locally and nationally. In our most recent assessment of the pressing concerns of the Puget Sound Community, the many facets of the education of our youth continue to stand out as a most critical need. Therefore, we continue to expand and enhance our community service programs with focus on education and the health and well-being of families.